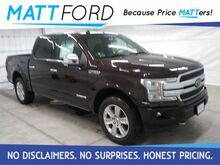 DRIVER ASSISTANCE PACKAGE, VOICE-ACTV TOUCH-SCR NAVIGATION SYSTEM,PANORAMIC VISTA ROOF, 20'' PREM DARK TARNISH PTD WHEELS,2ND ROW LEATHER-TRIM BUCKET SEATS, FRONT LICENSE PLATE BRACKET,3.5L ECOBOOST V6 ENGINE, 10SPD AUTO TRANS W/SLCTSHFTBACK-UP CAMERA, 4X4, LEATHER, HEATED REAR SEATS, HEATED FRONT SEATS, COOLED FRONT SEATS, HEATED STEERING WHEEL, BLUETOOTH, REAR PARKING AID, MP3 Player, BLIND SPOT MONITORING, CHILD LOCKS, 3RD ROW SEAT, KEYLESS ENTRY, SAT RADIO, RUNNING BOARDS, TURBOCHARGED, POWER LIFTGATE, ALLOY WHEELS. All prices after rebates. Some rebates require Ford Credit financing. Residency restrictions apply. Not all customers will qualify for Ford Credit financing. Prices subject to change. Please verify current price with the dealer. Price does not include tax, $199 Administration Fee or any other state or local fees. 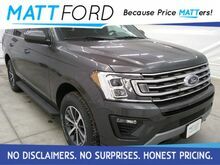 $500 additional discount included in pricing in excess of any current FMCC public rebate which is only available when financing with Ford credit Tiers 0-4 WAC. 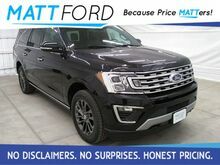 Customers that currently Own a 1995 or newer or Lease a non-Ford/Lincoln/Mercury Motor Company Car, SUV or Light Duty Truck will receive Conquest Cash towards the purchase or lease of an eligible new Expedition in the amount of $2000 which is reflected in our internet pricing. 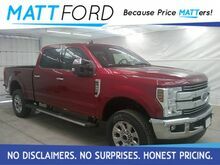 DIESEL, BACK-UP CAMERA, 4X4, LEATHER, HEATED REAR SEATS, HEATED FRONT SEATS, COOLED FRONT SEATS, HEATED STEERING WHEEL, NAVIGATION, BLUETOOTH, REAR PARKING AID, MP3 Player, KEYLESS ENTRY, SAT RADIO, RUNNING BOARDS, ALLOY WHEELS. All prices after rebates. Some rebates require Ford Credit financing. Residency restrictions apply. Not all customers will qualify for Ford Credit financing. Prices subject to change. Please verify current price with the dealer. Price does not include tax, $199 Administration Fee or any other state or local fees. 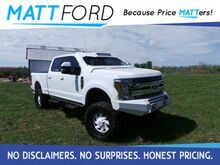 Customers who currently Own a 1995 or newer or Lease a Ford car, SUV or Light Truck up to F-550 ARE eligible for the Owner Loyalty incentive of $1000 reflected in our internet pricing some restrictions apply. Confirm your eligibility with dealer. 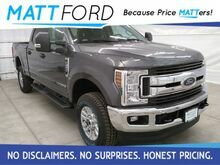 PLATINUM SERIES, TECHNOLOGY PACKAGE, 360-DEGREE CAMERA,ADAPT CRUISE-STOP/GO-PRECOLLISION, TAILGATE STEP, SKID PLATES,FLOOR-LINER-TRAY STYLE, BEDLINER-TOUGHBED, 20'' POLISHED ALUM. 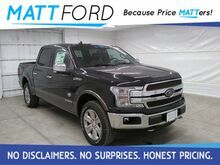 WHEELS,3.0L V6 TURBO DIESEL, ELEC 10-SPEED AUTO W/ TOW MODE,TWIN PANEL MOONROOF, PRO TRAILER BACK-UP ASSIST, FX4 OFF-ROAD PKGDIESEL, BACK-UP CAMERA, 4X4, LEATHER, HEATED REAR SEATS, HEATED FRONT SEATS, COOLED FRONT SEATS, HEATED STEERING WHEEL, NAVIGATION, BLUETOOTH, REAR PARKING AID, MP3 Player, BLIND SPOT MONITORING, KEYLESS ENTRY, SAT RADIO, RUNNING BOARDS, ALLOY WHEELS. All prices after rebates. Some rebates require Ford Credit financing. Residency restrictions apply. Not all customers will qualify for Ford Credit financing. Prices subject to change. Please verify current price with the dealer. Price does not include tax, $199 Administration Fee or any other state or local fees. 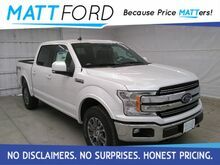 Customers who currently Own a 1995 or newer or Lease a Ford car, SUV or Light Truck up to F-550 ARE eligible for the Owner Loyalty incentive of $1000 reflected in our internet pricing some restrictions apply. Confirm your eligibility with dealer. 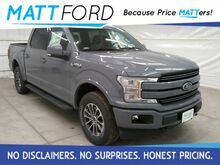 BACK-UP CAMERA, 4X4, LEATHER, HEATED FRONT SEATS, COOLED FRONT SEATS, BLUETOOTH, MP3 Player, KEYLESS ENTRY, SAT RADIO, TURBOCHARGED, ALLOY WHEELS. All prices after rebates. Some rebates require Ford Credit financing. Residency restrictions apply. Not all customers will qualify for Ford Credit financing. Prices subject to change. Please verify current price with the dealer. Price does not include tax, $199 Administration Fee or any other state or local fees. 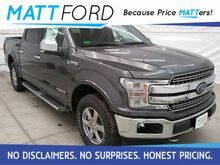 Customers who currently Own a 1995 or newer or Lease a Ford car, SUV or Light Truck up to F-550 ARE eligible for the Owner Loyalty incentive of $1000 reflected in our internet pricing some restrictions apply. Confirm your eligibility with dealer. BLIS W/ TRAILER TOW MONITORING, REMOTE START SYSTEM, B&O SOUND SYSTEM,REVERSE SENSING SYSTEM, LED SIDE-MIRROR SPOTLIGHTS, 110V/400W OUTLET,HEATED STEERING WHEEL, SECOND-ROW HEATED SEATS, 18'' CHROME LIKE WHLS,ENGINE BLOCK HEATER, PRO TRAILER BACKUP ASSIST, VOICE-ACTV NAVIGATION,TRAILER TOW PACKAGE, TECHNOLOGY PACKAGE, 360-DEGREE CAMERA,CHROME ANGULAR STEP BAR, BEDLINER-TOUGHBED SPRAYINDIESEL, BACK-UP CAMERA, 4X4, LEATHER, HEATED FRONT SEATS, COOLED FRONT SEATS, BLUETOOTH, MP3 Player, KEYLESS ENTRY, SAT RADIO, TURBOCHARGED, ALLOY WHEELS. All prices after rebates. Some rebates require Ford Credit financing. Residency restrictions apply. Not all customers will qualify for Ford Credit financing. Prices subject to change. Please verify current price with the dealer. Price does not include tax, $199 Administration Fee or any other state or local fees. 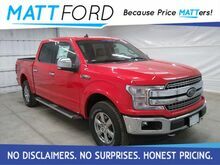 Customers who currently Own a 1995 or newer or Lease a Ford car, SUV or Light Truck up to F-550 ARE eligible for the Owner Loyalty incentive of $1000 reflected in our internet pricing some restrictions apply. Confirm your eligibility with dealer. BLIS W/ TRAILER TOW MONITORING, REMOTE START SYSTEM, B&O SOUND SYSTEM,REVERSE SENSING SYSTEM, 110V/400W OUTLET, HEATED STEERING WHEEL,SECOND-ROW HEATED SEATS, LED SIDE MIRROR SPOTLIGHTS,TWIN PANEL MOONROOF, PRO TRAILER BACK-UP ASSIST, TRAILER TOW PKG,SKID PLATES, FLOOR LINER, 36GAL EXTENDED RANGE FUEL TANK,,LARIAT SPORT APPEARANCE PACKAGE, VOICE-ACTIVATED NAVIGATONBACK-UP CAMERA, 4X4, LEATHER, HEATED FRONT SEATS, COOLED FRONT SEATS, BLUETOOTH, MP3 Player, KEYLESS ENTRY, SAT RADIO, TURBOCHARGED, ALLOY WHEELS. All prices after rebates. Some rebates require Ford Credit financing. Residency restrictions apply. Not all customers will qualify for Ford Credit financing. Prices subject to change. Please verify current price with the dealer. Price does not include tax, $199 Administration Fee or any other state or local fees. 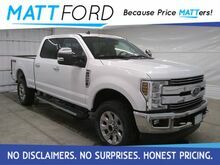 Customers who currently Own a 1995 or newer or Lease a Ford car, SUV or Light Truck up to F-550 ARE eligible for the Owner Loyalty incentive of $1000 reflected in our internet pricing some restrictions apply. Confirm your eligibility with dealer. 110V/150W POWER OUTLET, FRONT 180 DEGREE CAMERA, SEATS - COOLED FRONT,2ND ROW OUTBOARD INFLAT BLTS, UNIVERSAL GARAGE DOOR OPENER,PWR TILT/TELE STEERING COLUMN, MEMORY DRV SEAT/SDVIEW MIRROR,2ND ROW BUCKET SEATS, TWIN PANEL MOONROOF, RAIN-SENSING WIPERS,LANE-KEEPING SYSTEM, AUTO HIGH BEAM HEADLAMPS,,ADAPT CRUISE/COLLISION WARNING, 3.5L V6 ECOBOOST ENGINEBACK-UP CAMERA, 4X4, LEATHER, HEATED FRONT SEATS, HEATED STEERING WHEEL, NAVIGATION, BLUETOOTH, REAR PARKING AID, MP3 Player, BLIND SPOT MONITORING, CHILD LOCKS, 3RD ROW SEAT, KEYLESS ENTRY, SAT RADIO, TURBOCHARGED, POWER LIFTGATE, ALLOY WHEELS. All prices after rebates. Some rebates require Ford Credit financing. Residency restrictions apply. Not all customers will qualify for Ford Credit financing. Prices subject to change. Please verify current price with the dealer. Price does not include tax, $199 Administration Fee or any other state or local fees.